Since we have these all over the place in Texas, it's good to know that when I'm out and starving, I don't have to get all cranky and disgruntled because home is so far away. I can just pull in here and eat some good stuff. At mine, the vegetarian option is $5.95. You can add guacamole for $1.75 (ouch) more. You will get a good serving of guacamole, though. For just a little more, however, you can get chips and guacamole instead of adding it to your bowl. I like to do it this way so I can just use the guac myself and then share chips with the other folks at the table. UPDATE: Thanks to Sarah (below) for letting me know that the guacamole is supposed to be included in the price of the vegetarian bowl / burrito, etc. so you DO NOT need to buy it on the side. My local shop has since been educated on the matter. Can you believe I've never been to a chipotle? This is what I get for lunch about once a week. So yummy and filling! Thanx for reminding me about Chipotle, It's a fast quick option. Love the survey you posted. Think I'll give it a whirl. 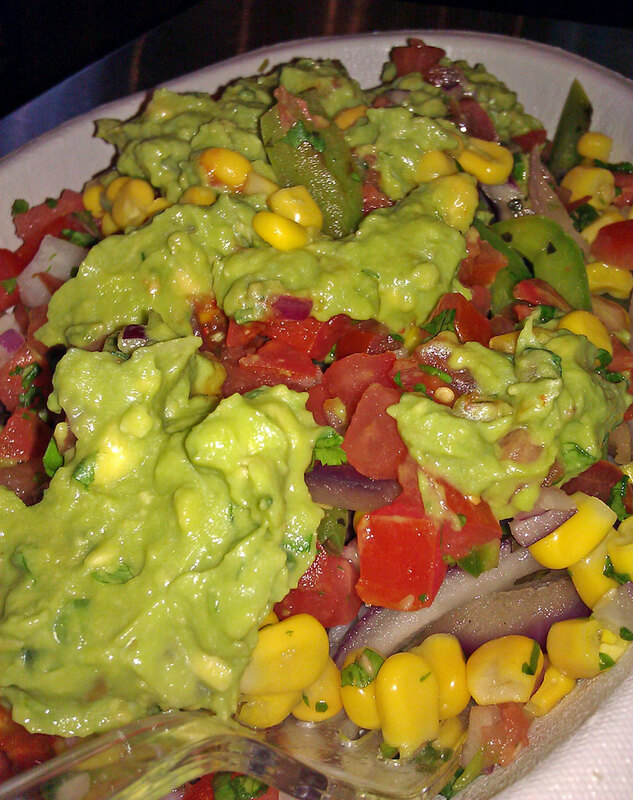 Strange, the vegetarian burrito/burrito bowl option here comes with guacamole. That's what I love about it so much especially, cheaper than the meat option AND it's the only one that comes with their heavenly guac! They shouldn't be charging you extra for that.